A bulk sale, or bulk transfer, occurs when a business opts to sell all or almost all of the inventory to a buyer and is definitely not a part of the daily course of business operations. 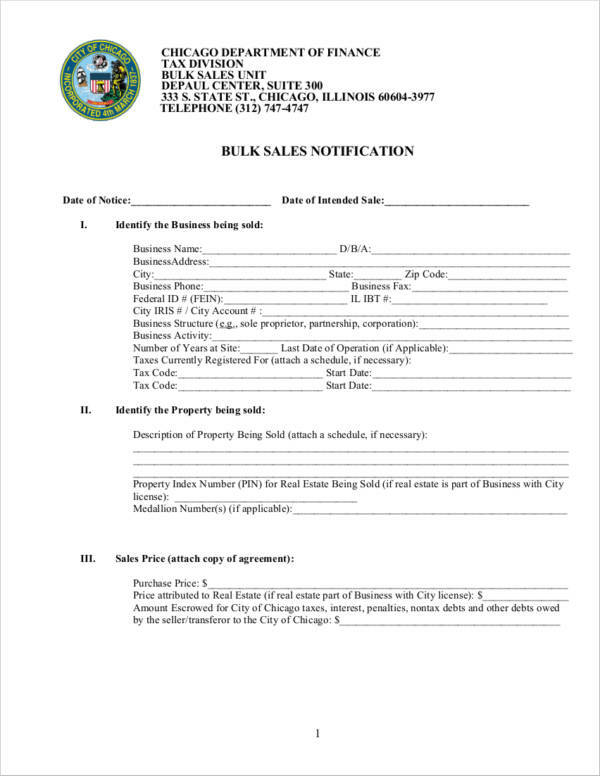 If you want to know more information about bulk sale notice and notice writing format, then you have definitely landed on the right website! We are here to give you information about bulk sales notice and how you can come up with one. Ensure that you continue reading this article if you want to find out more. 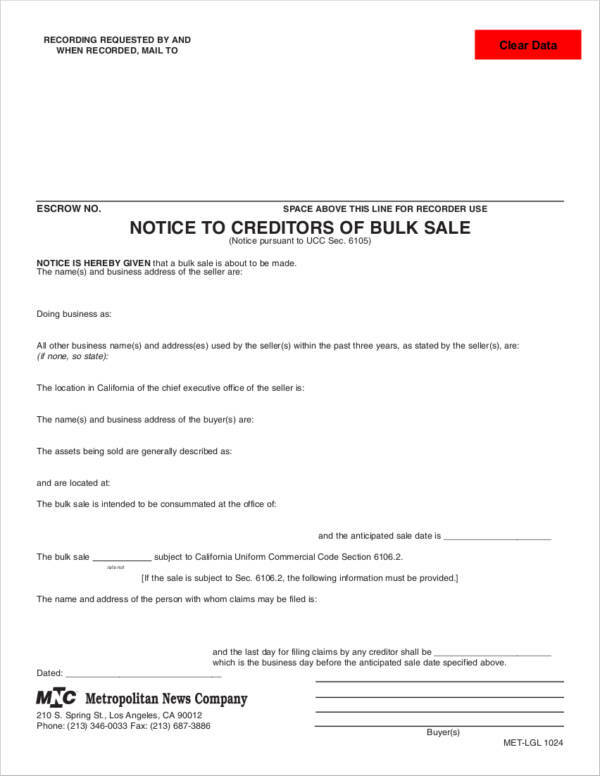 Laws regarding bulk sales exist in order to ensure that business owners avoid defrauding their creditors by transferring or selling their assets to another business entity or individual. It also helps to ensure that the sellers do not sell their assets under fair market value. Basically, laws regarding bulk sales are more or less uniform all across states. However, just to make sure that you are following the correct procedures, you may want to check with your state laws or consult a lawyer for better assurance. You may also see notice memo. Issues regarding bulk sales arise when the seller has debts that will not be assumed by the seller. Should this happen, the corporation should consult with a lawyer to ensure that the buyer will not be held responsible for the debt once the assets have been turned over. This situation rarely happens since the seller of the assets typically takes care of unpaid taxes and debts regarding the sale of said assets. Basically, bulk sales laws exist in order to properly facilitate settling disputes and confusions should issues like this arise. 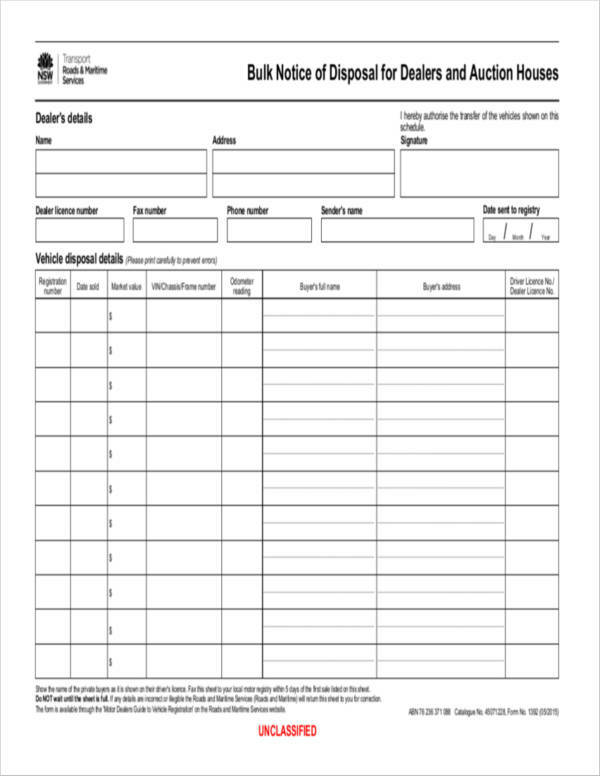 You may also like sample notice letters. A sale or transfer that is not a usual part and not ordinary for the business that is required to have taxes returned or remitted or needs to be licensed by the city. You may also check out final notice letter download for free. Within 30 days after the sale or transfer has been made, the seller needs to make sure that any taxes due related to the assets should be duly paid in full. 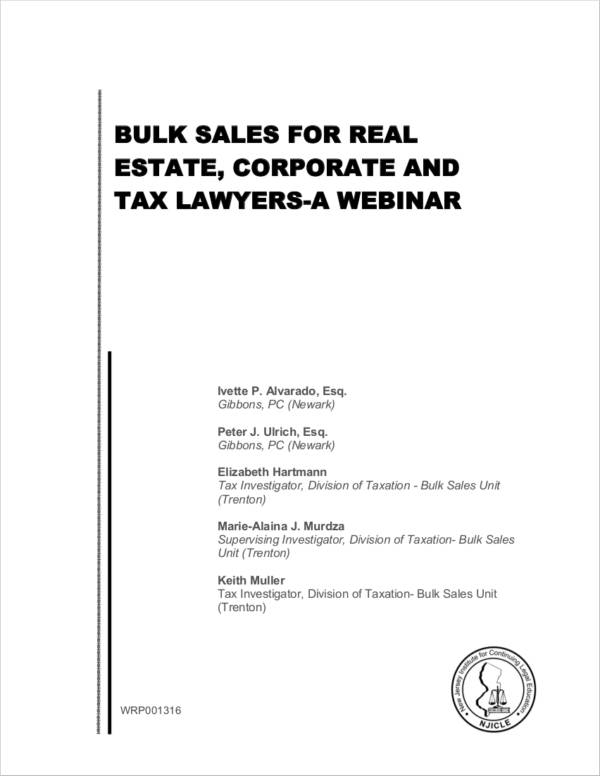 Should the bulk sales notice not be filed on time and there are still unpaid taxes after the sale has been made, the buyer will become partly liable for these. You may also see sample 30 days notice letters to landlord in word. Once the bulk sales notice has been completed, a copy of the property sales contract and other documentation regarding the sale should be submitted to the proper channels. Should a lawyer be present through all the transactions, a power of attorney form can be included alongside the other files. 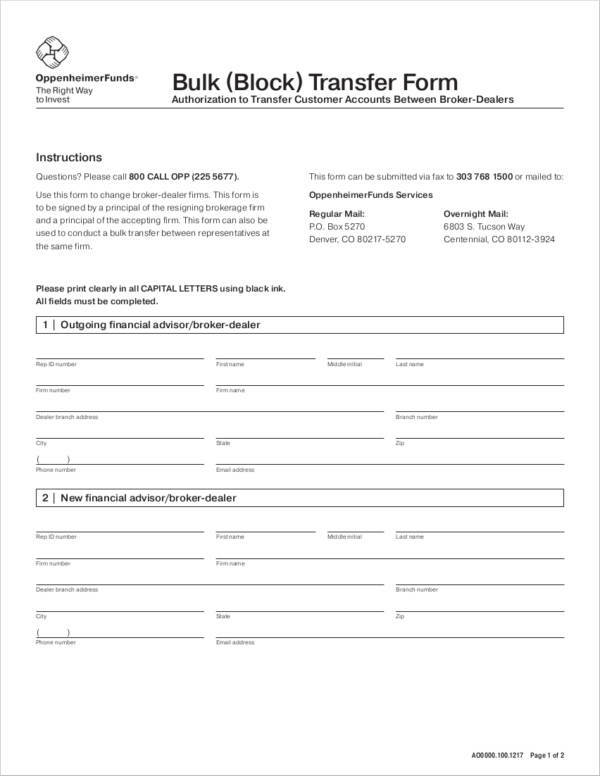 Sending your documents must be done personally or via registered or certified mail to the creditors of the seller. It should also be sent to all other people who are deemed to be involved with the sale. Make sure that all information has been completed. In line with this, you also want to make sure that you spell everything correctly. 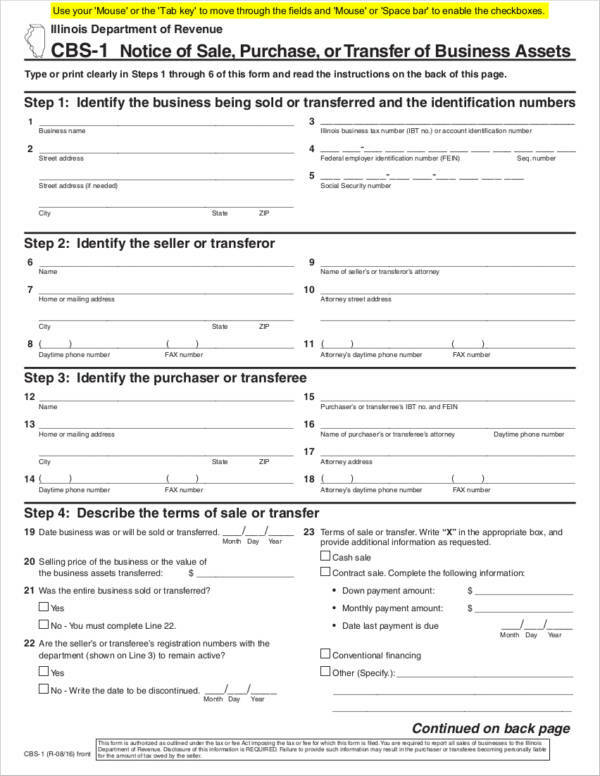 Make sure that an updated copy of the simple sales contract is attached. Make sure to submit the notice and the rest of the documents at least 45 days before the sale is closed. If submitted beyond 45 days, it will be considered as late and the buyer will now be responsible for liabilities owed by the seller. 1. Document Title. 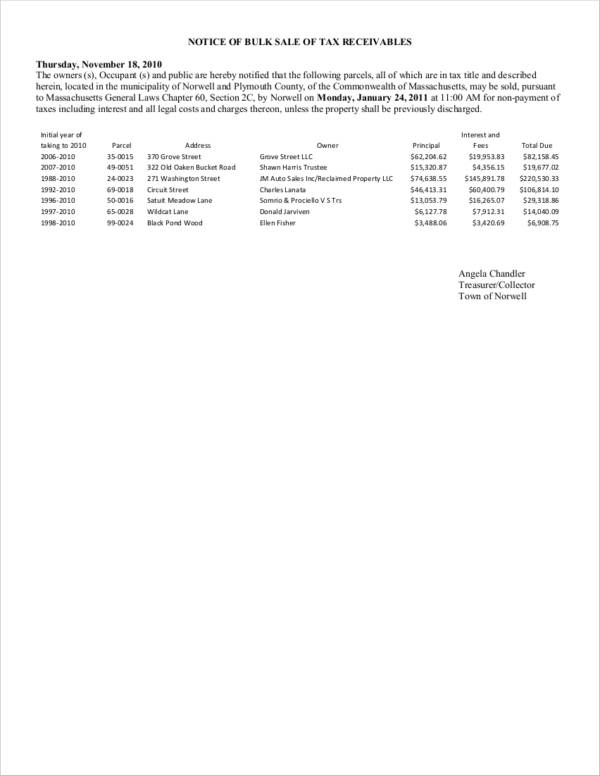 The title of the document is typically found center-aligned in the documents in bold and/or in a different font size than the rest of the document’s texts. You may also see sample final notice letters. 2. Date. The date when the bulk sales notice was filed. This is usually found on the left-hand side of the document. 3. Salutation. 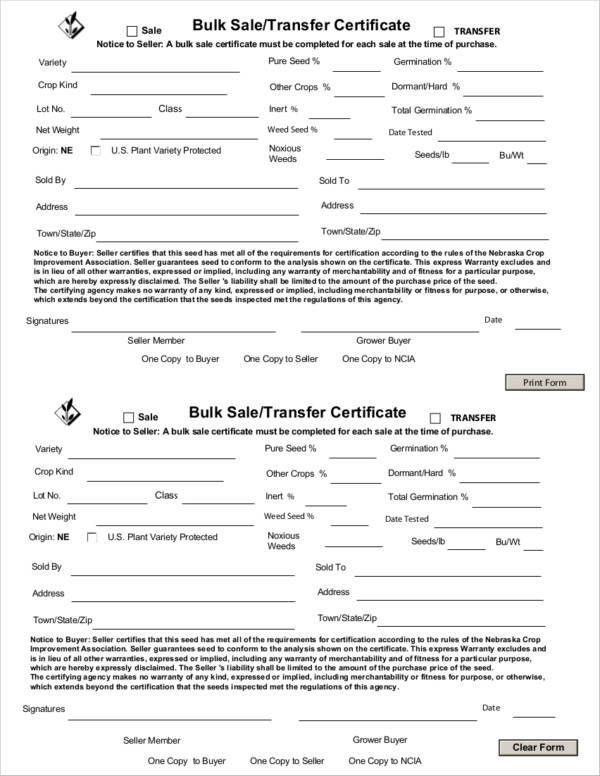 The salutation of the bulk sale notice is simple. It will simply state “Notice to creditors:”. 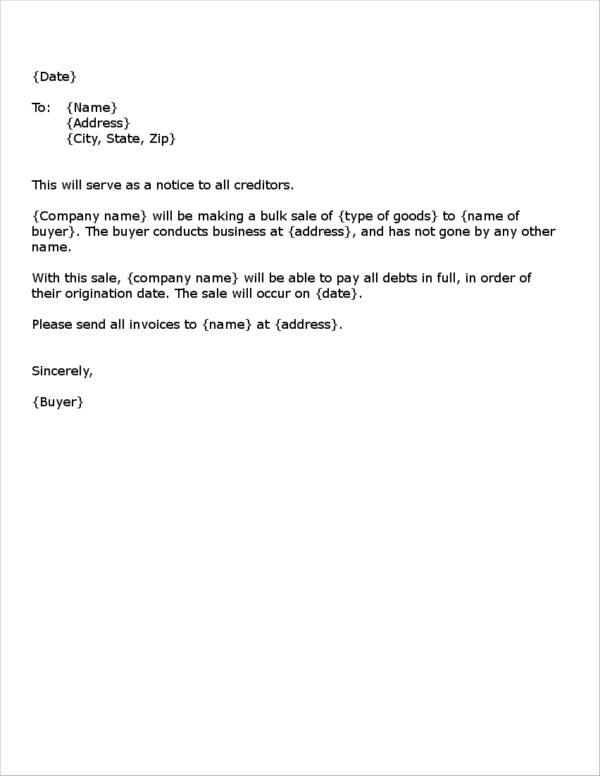 In cases of bulk sales notice in form format, there is usually no salutation. 4. Seller and Business Details. This refers to the complete name of the seller and the complete name of the business. The complete address of the business is also usually included. You may also like employee warning notice samples. A statement of assurance that will assure the buyer that the seller has not done any business under any other name for three (3) years. A statement assuring the buyer that the seller will be paying existing debts in full before assets will be turned over to the buyer. 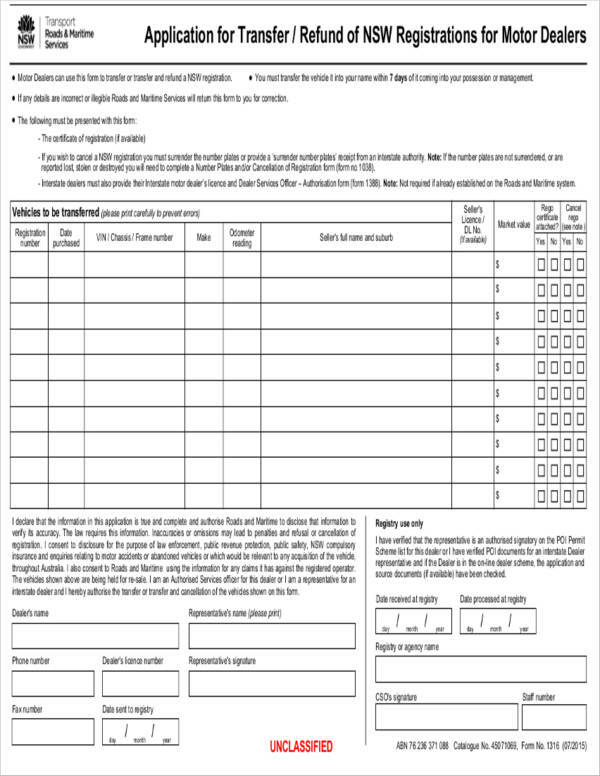 You may also check out sample 2 week notice letters. 8. Concluding Paragraph. The last paragraph would be a statement that will let the reader know when the sale notice will start becoming valid. “The sale shall occur [Number of Days] from the date of receipt of this notice. This notice is provided in accordance with [Bulk Sale Law/Act]. 9. Closing. “Very truly yours,” “Yours truly,” “Sincerely yours,” etc. 10. Name and Signature of the Buyer. 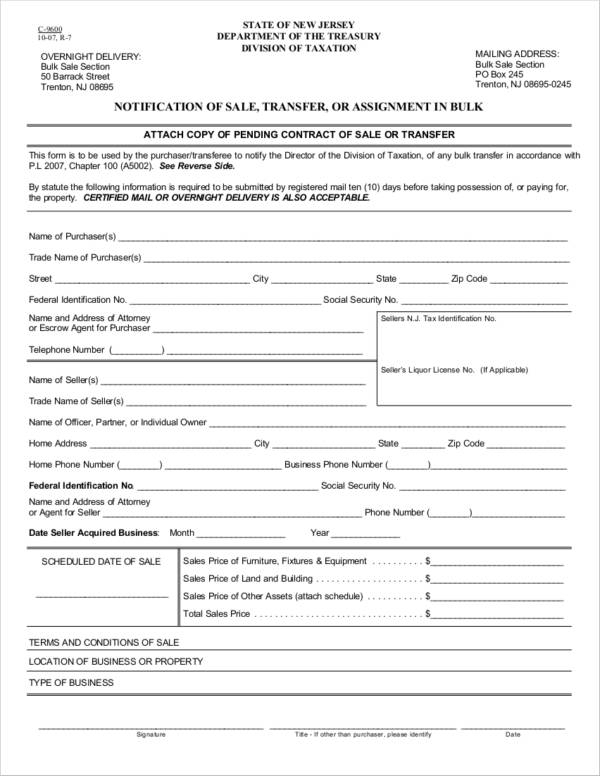 The signature of the buyer should be affixed above the typed name of the buyer. You may also see resignation letters short notice.